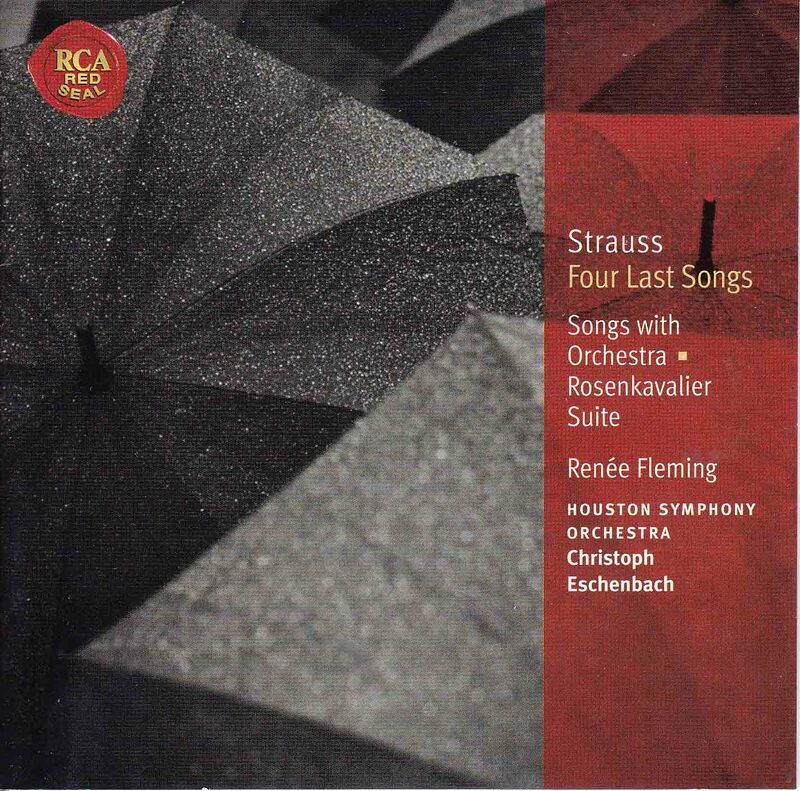 Richard Strauss’ Four Last Songs are not only a personal valedictory, but they are the end of more than a century of glorious German art songs; they are the farewell to the lieder of Schubert, Schumann, Brahms, Wolf, Mahler, and finally Strauss himself. These hibernal songs written shortly before the composer’s death, and not performed until after it, have been recorded by almost every soprano of note over the past 60 years. The earlier Strauss, he of the whale sized orchestra and bombast amid beauty, had long been tamed by time. What remained was a gentle old age devoid of anger covered by resignation and acceptance. The standard by which all interpreters of these works is judged was set by Elisabeth Schwarzkopf. Here is her recording of the third of the songs – Beim Schlafengehen. All four of them can be downloaded here for only one euro which at today’s exchange rate is less than $1.25. Schwarzkopf’s sensitivity and phrasing reveal every nuance of these beautiful songs. Her almost fragile tone captures the beautiful poignance that Strauss’ final effort suffused these songs. Note the wonderful reading of the text of the third and final stanza. Renée Fleming easily equals Schwarzkopf in her interpretation of these songs. And she brings to them a more lustrous instrument. She takes the song much slower than Schwarzkopf – her version is a minute and forty seconds longer. Her voice is so perfectly controlled that this greater duration is not readily noticed as the beauty of the song and her voice seems enhanced by this rendition. Here is Fleming’s singing the last stanza of Beim Schlafengehen. Fleming is so good with Strauss that I wonder what drives her to the bel canto repertory where she’s good enough, but does not reach the level she attains with Strauss. This recording contains five additional Strauss songs which are all gorgeously rendered. Particularly noteworthy is Wiegenlied. The disc concludes with Der Rosenkavalier Suite conducted by Christoph Eschenbach. Yes, a much more lustrous voice. I too wish Rene would stay away from bel canto. While she hits all the notes, the quality of the high notes is toooooo different. A long time “slower” tendency in opera too. Sometimes good, sometimes not.